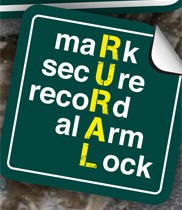 So today’s post is written with rural safety in mind. The first thing to do about security on the back roads is to get to know the neighbours. They may not be in direct line of sight of your house and property, but if they have an idea of who belongs in the area, they’ll be able to tell when someone seems suspicious. Always let them know when you are going away, when you intend to return, and if you’ll be expecting any visitors/house-minders to drop by. The second line of defence is a good lock. A snap lock in the doorknob is almost an invitation to put a hammer or screwdriver into the frame and pop it. A really secure deadbolt that takes a key on both sides will prevent thieves from cutting into the door and just turning the inside latch. A deadbolt is not much use without a solid door. If no one is around, a determined thief will take a sledgehammer to the door frame. Make sure the solid door is installed correctly so that it can’t be battered in easily. Windows can still be jimmied with a screwdriver or broken with a rock, however, it may limit just how much the thieves end up taking if they can’t easily carry it out through the front door. A vicious dog is never a good idea as any animal which is trained to fear and attack humans will be a hazard to family and friends, and a huge legal liability if it should harm anyone, even a thief. An indoor dog that will bark if anyone approaches may be a lot more effective. If your dog is in a fenced yard or an accessible area, a determined thief could easily harm the animal with a weapon or poison. 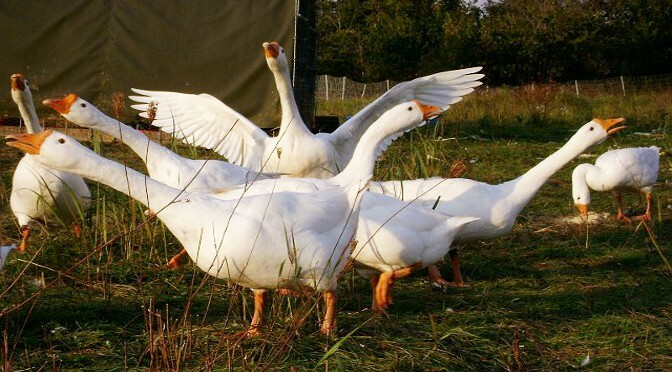 Alternative guard animals could be a flock of geese, a donkey or even llamas! Many people will have second thoughts about entering an area with farm animals that have uncertain temperaments. 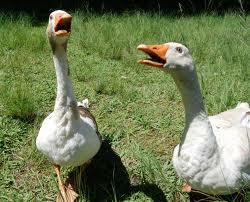 Geese and donkeys are particularly good at alerting their owners to invasion and trouble, and believe me, no one wants to mess with an angry goose! Make a detailed inventory of all personal valuables, household and farm equipment. Record serial and model numbers, inscriptions, replacement value and other identifying features. Photograph or video valuable jewellery, antiques and other collectables. Keep inventory and photographs in a safe locked place, preferably offsite, and update regularly. Don’t just save your digital photographs and inventory list on your computer because there goes all your records when the thieves walk out with the computer as well. You can buy a cheap inscribing tool for under $30 from any hardware store. Obvious ownership marks that can’t be removed or obscured will signal to a burglar that the television, laptop, camera etc aren’t worth taking. Unfortunately, sheds and outbuildings are all too easily accessible. Hasps and padlocks will work fine if they are heavy enough and installed properly. The question to ask yourself is, “Can I take that off with a crowbar or a hammer?” If the answer is yes, upgrade to a better grade of hasp and padlock. Also make sure padlocks are bolt-cutter proof. 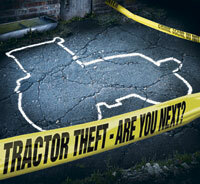 Tractors and field equipment can be targets for thieves if they know they have plenty of time. Even hay bales and horse yards are not exempt and are, in fact, a high commodity as they are not easily identifiable so very easily sold. If your equipment is left outdoors, try to make it as inaccessible as possible; have it out of sight behind a building where possible. Heavy chain threaded through the rear wheels of a tractor and locked back on itself or around something immovable works but it has to be heavy enough to resist common bolt cutters. Park it hard against something immovable as well and suddenly it all seems too hard and the thief may move on to easier game. Removing a key component required to operate a tractor also works. Taking the spark plugs out, whilst making it immobile, won’t stop a thief from winching the tractor onto a trailer. However removing the steering wheel or a front tyre works as a strong visible deterrent. If there is a self-storage facility nearby, consider storing your tractor or field equipment there if you’re going to away for a prolonged period. It’s a small investment for the security of your very expensive equipment, not to mention, peace of mind! While all of the above will help, the best line of defence for overall security of your rural property if a prolonged absence is necessary, is to have a friend or family member stay on the farm.